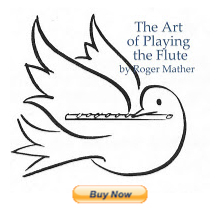 Some confusion can arise from the naming of the octave for flute pitches. Here is a PDF one-page chart that explains very simply the systems of C1 to C4 used by flutist's publications, versus C4 to C7 used by standard acoustic texts. I know that the numbering system confused me when I went to purchase my first electronic tuner. I wanted to make sure that the new tuner could measure the pitch of the highest notes on piccolo. Having this chart would truly have helped at the time, since the tuner-company used the C4-C7 system.